Last week of Autumn 2018? Nope! We may be wrapping up our internal masterclass series, but we're also starting up something new... Now, we're opening up for individuals interested in advice and tips from experts. To kick things off, OK!Thess and the local startup community are getting ready for an exciting workshop next week, Marketing Strategies for Startups with The Port. To gear up for the event and preview some of the content, we’ve pulled together some must-read articles to help you get up-to-speed on building and executing a marketing strategy that drives leads and conversions. First, build a strong foundation for your marketing strategy by understanding the three golden rules of marketing. These are: 1) Add value first, sell after; 2) Build a consistent brand identity; 3) Understand your audience. If you can achieve these three things, you are well on your way to establishing your marketing strategy! Next, get into the mind of your audience to create content that they actually want by understanding the psychology behind content that converts. Once you understand the psychology behind content, you can combine that with knowledge of the user journey in order to formulate your content strategy. This post on User Journey Mapping will help you create a content-driven lead generation strategy. Great! Now you understand the most important rules of marketing and content creation. Once you actually create your content, you’re ready to dive into this post to get tips on creating CTAs for social media posts, emails, blog posts, and any other type of marketing collateral. If you’re ready to put these insights to work for your business and need some help making it happen, get in touch with The Port (sail@totheport.com). If you’re looking for more marketing knowledge, download our popular Buyer Persona exercise to better understand your audience so you can create content and CTAs that will drive more leads and conversions. Looking for even more marketing tips and best practices? 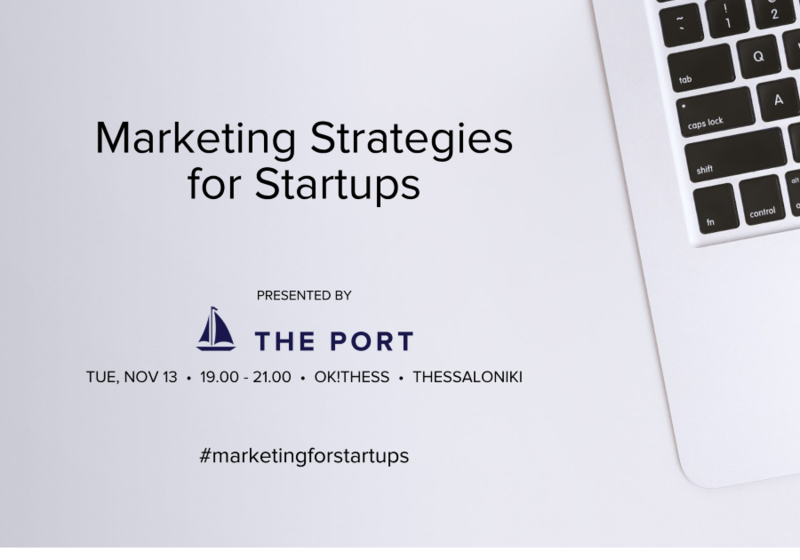 Join The Port for our Marketing Strategies for Startups workshop next week at OK!Thess. We’ll cover topics like the buyer journey, steps for building content that’s guaranteed to convert, and tools and resources to bring your marketing strategy to life. See you there!